Earlier this week, some members of our team attended the launch event for United Way of Santa Barbara County’s Women United! 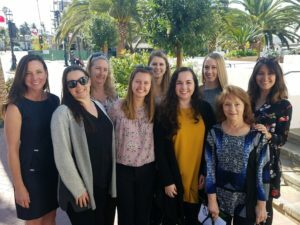 Women United’s mission is to mobilize a powerful leadership network of women to strengthen the Santa Barbara community through a focused investment of talent, compassion, and philanthropy. As table sponsors of the event, DBNTM was represented by women from our tax, audit, para-professional, and administrative teams. We are proud to be part of this exciting new initiative and look forward to working alongside like-minded female leaders in our community! Since 1983, the number of female accountants in the U.S has grown from 39% to over 61%! More than half of graduates from accounting related Bachelor’s, Master’s, and PhD programs are female. The number of partnership positions at CPA firms held by women is also increasing and we think that is pretty fantastic!